Special Video released on the Sacred Martyrdom Gurpurab of Sri Guru Tegh Bahadur Sahib. When the Almighty manifests himself in human form, he takes the whole human race in His loving Embrace. This God like warmth of the Divine Incarnate flows out to the whole creation and yearns for universal welfare and redemption. This Nectar of Grace and Love flowed from the Beneficient, All Loving Guru Tegh Bahadur (Guru Nanak - The Ninth) to 500 Pandits of Kashmir and through them to a whole religion, a whole nation. Sri Guru Tegh Bahadur Sahib's sacrifice for the pandits of Kashmir has to be viewed in this background and context. He, being the Jagat Guru, belongs to all, the whole universe. 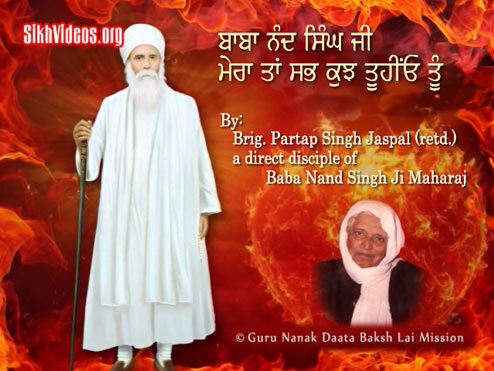 The love and mercy of a Prophet, a Messiah, a Jagat Guru is impartial, it knows no difference. It showers like rain on all alike.